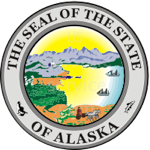 Alaska’s notaries do not have the authority to certify photocopies of documents. To certify a photocopy of a document a process called Copy Certification By Document Custodian must be applied in which the person that is certifying the document signs a statement and the signature on that statement is notarized. After that the document can be apostilled, but it may not meet the requirements of the foreign receiving authority. Therefore, prior to following this procedure it is recommended to verify that such copy will be acceptable. 1. 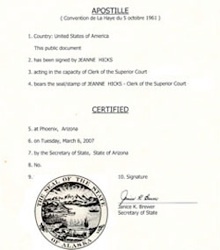 Signature of the person executing the document. 4. The expiration date of the notary’s commission.